Fertility Lab Insider - Lessons learned from over fifteen years of working inside fertility labs. » Have something to say but hate writing? Let Zygote Science help! Carole C Wegner, PhD, HCLD, President of Zygote Science LLC. Established in 2010 to provide medical writing and consulting services on various biotech, science or medical topics. Educational Presentations -PowerPoint slides, posters and video scripts. 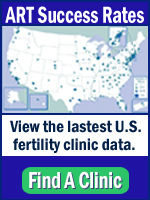 Award Winning educational blog for patients called Fertility Lab Insider (http://fertilitylabinsider.com). The blog explains how to f ind successful infertility treatment programs and how to navigate high-tech infertility treatments. Looking for a Clinical Lab DIrector (consulting/off-site or on-site) for your lab? Zygote Science can help. Nearly 14 years experience as a lab director for five labs in three states. Expert advice on CLIA lab accreditation, lab quality control and quality assurance.